The Raymond mill is used to grind materials in the fields of building materials, mining, metallurgy and chemical industry.The materials must be non-flammable and non-explosive materials such as: limestone, calcite, barite, dolomite, potassium feldspar, marble, talcum, gypsum, kaoline, medical stone, rock phosphate, manganese ore, iron ore, glass, ceram, active carbon, carbon black, fireproof materials, heat preservation materials, chemical materials and so on(300 kinds of materials). The materials of Raymond mill machine should have the hardness less than 7 in Moh's scale and humidity less than 6 percent. The granularity of the end products can be adjusted from 30 to 325 meshes. After the materials enter the grinding chamber of the main frame, the grinding roller swings outward and presses closely upon the grinding ring due to the centrifugal force generated by the rotation of the main shaft. The blade carries materials to the space between the grinding roller and grinding ring, and materials are ground as the grinding roller rolls. 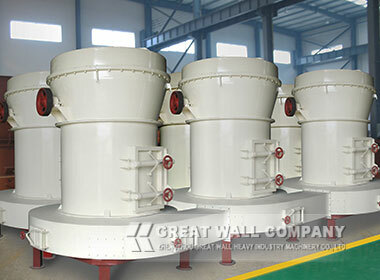 After being ground, the powder is selected by classifier via the cycle wind of the blower and the rough powder will be back to the grinding chamber for regrinding. 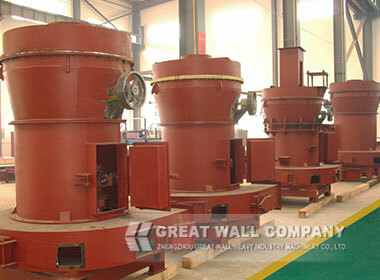 The qualified powder is brought into the powder collector together with airflow. The powder comes out as end products while the airflow goes back to the powder collector in cycling to make the machine work normally. The remained airflow comes out after purification by dust filter. 1. The whole Raymond roller mill is of spatial structure , less premise and systemic strong. The whole system from roughing, transportation, powder collecting to packaging forms a independent production system. 4. 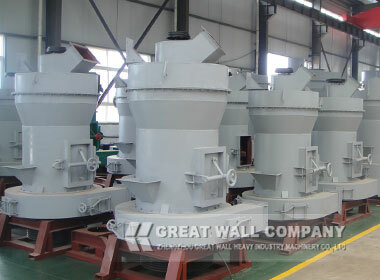 All the main parts of Raymond grinding mill adopt high quality steel, the resistant parts use high-performance proof materials, so the whole system has high wear resistance and reliable performance. The blade frame of the main machine keeps in touch with the materials , it is consisted of the upper part and lower part, when the lower part is worn down , just take down the bolts to exchange it. 6. This Raymond grinding machine is less dust pollution and low noise. 7. 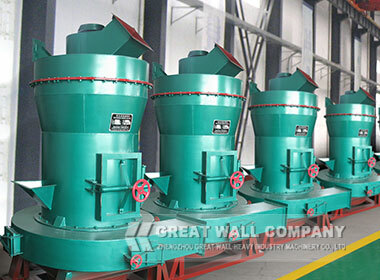 Adopting electro-vibrating feeder , Raymond mill machine can feed evenly and is easy to adjust, features miniature size, light in weight, power saving and easy maintenance.